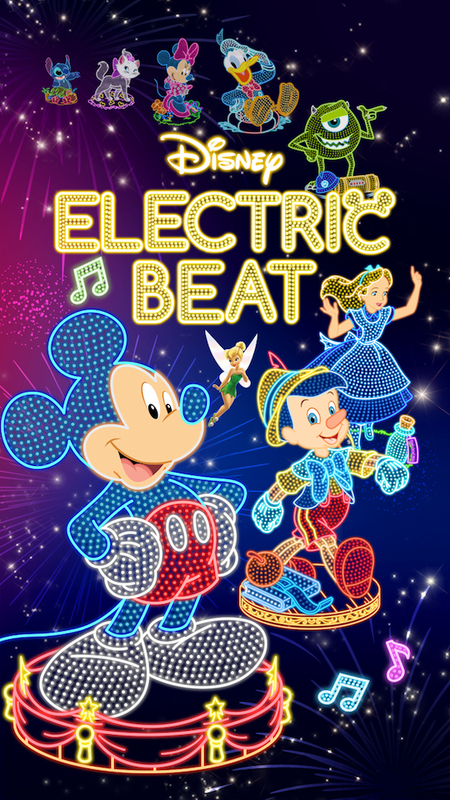 Electric Beat is a small rhythm game made for Disney Japan by Liquid Interactive. Liquid brought me on to develop the game in Unity. Most of the art assets were created at Liquid, with some UI, the music and final say all coming from Disney Japan. Itâ€™s bright and flashy and very Disney. Imagine a simplified Guitar Hero on a rollercoaster like fret board. With an 8 week conception to delivery production cycle, this was a tough game to make. From the development side, itâ€™s got a few things going for it. Firstly, it was only a single level. For speed of production we could minimise level building tools as we only needed to create the one, defined experience. Secondly, it was being made as a preinstalled game for a specific, and small, set of Japanese Disney phones. This meant the hardware specs were nicely set in stone, despite being for Android. There were some delays getting assets from the client that led to the delivery time being pushed out, but Iâ€™m proud to say it would have met the crazily short 8 week deadline otherwise. Sadly, since this game only exists on a few specific handsets in Japan, many of you reading this will never play it, or even see it, in person. So I have included as much as I can here so you can get a feel for it. It was a lot of fun and the challenge provided many valuable lessons that helped speed up my process. I look forward to working with Disney and Liquid again in the future. The following is some game play footage. The audio is removed. The song in the game was made specifically for it and downloading it is unlocked by completing the level. Until I get permission to share it, Iâ€™ll leave it off.